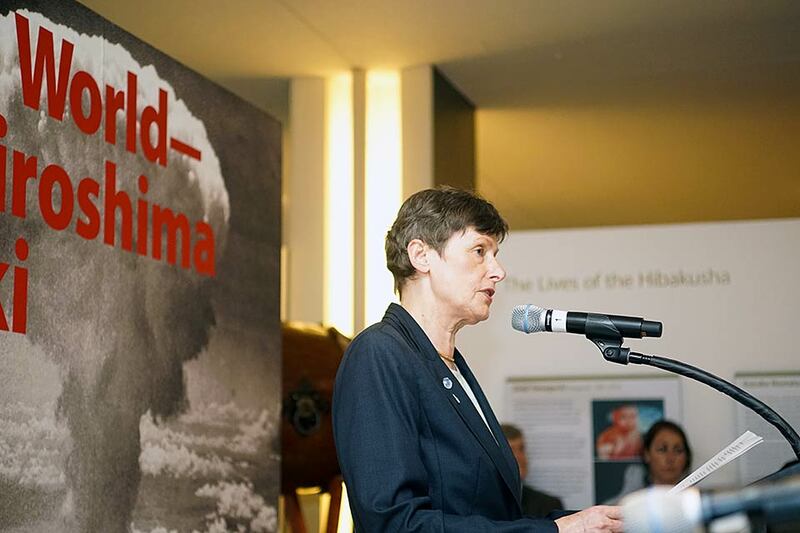 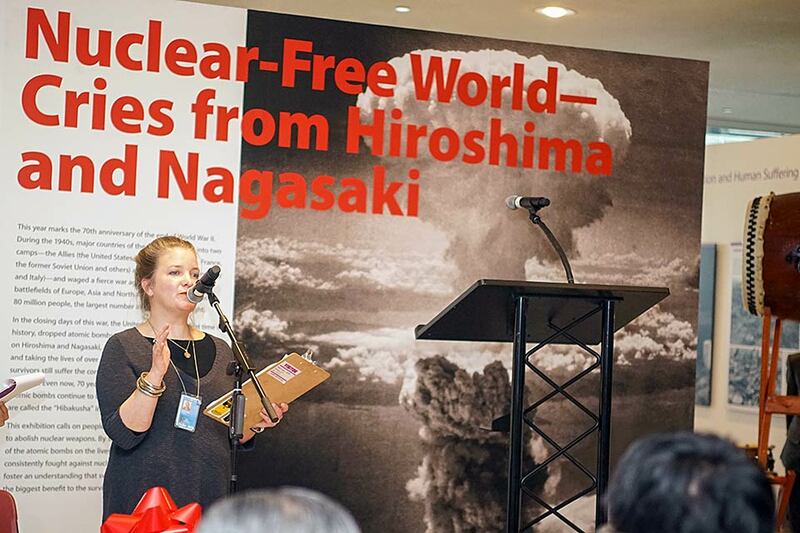 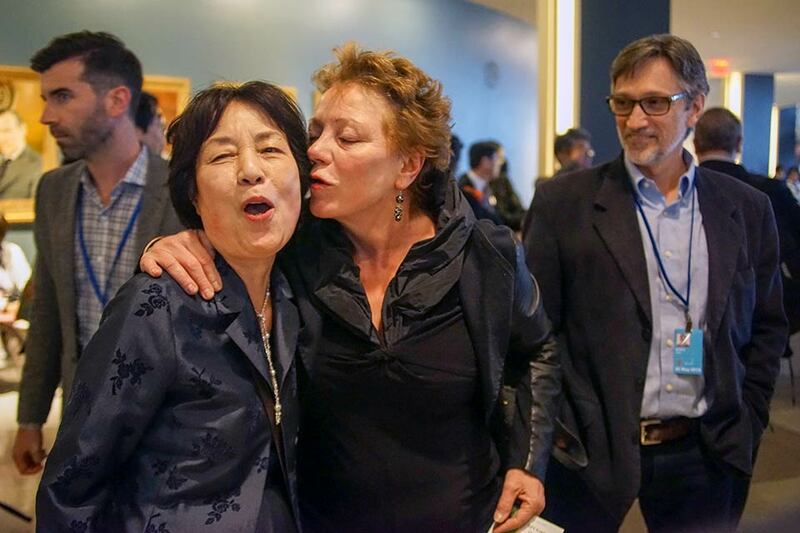 Kathleen Sullivan, Emilie McGlone of Peace Boat US and Soo Hyun-Kim of the UN Office for Disarmament Affairs (UNODA) organized a reception for Voices from Hiroshima and Nagasaki to the Delegates of the NPT: A Photographic Exhibit by Nihon Hidankyo on April 27. 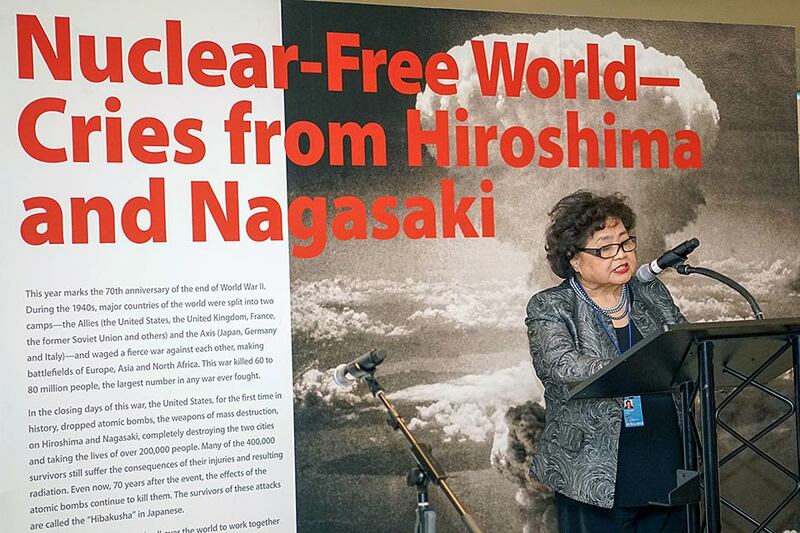 It was hosted by H.E. 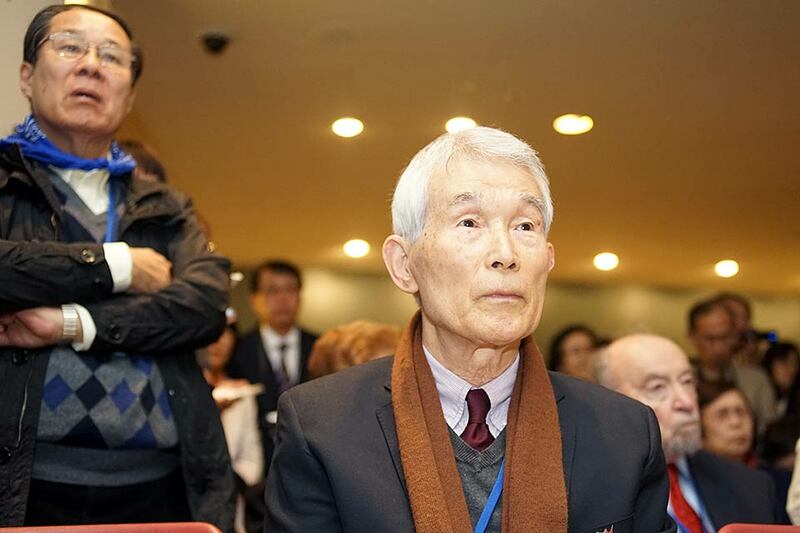 Mr. Toshio Sano, Ambassador of Japan to the Conference on Disarmament and UNODA with remarks by hibakusha. 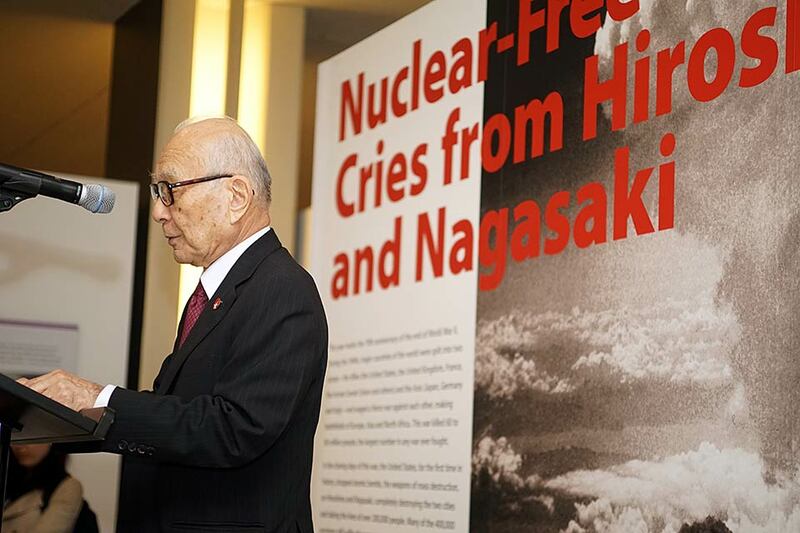 The event coincided with the first day of the NPT Review Conference and marked the opening of Nihon Hidankyo’s photographic exhibit. 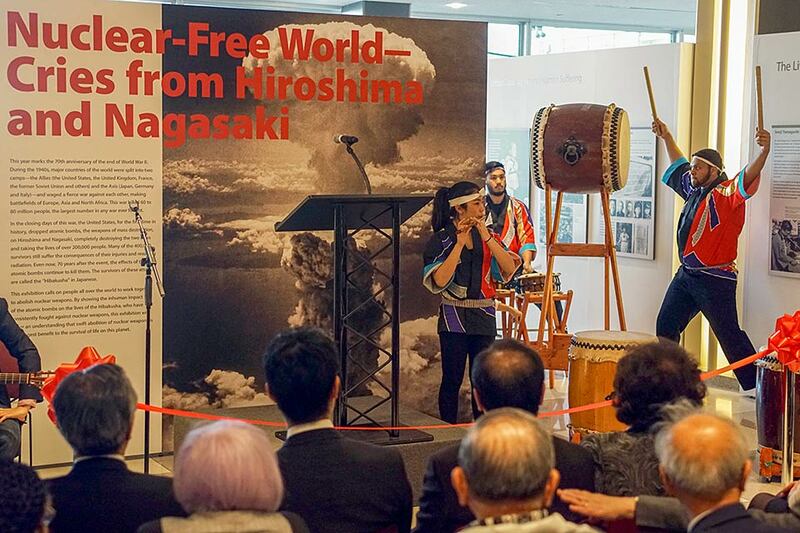 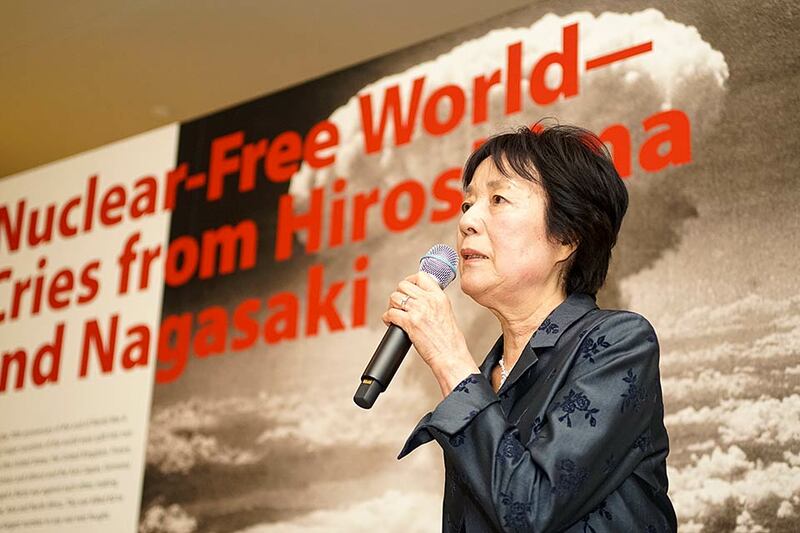 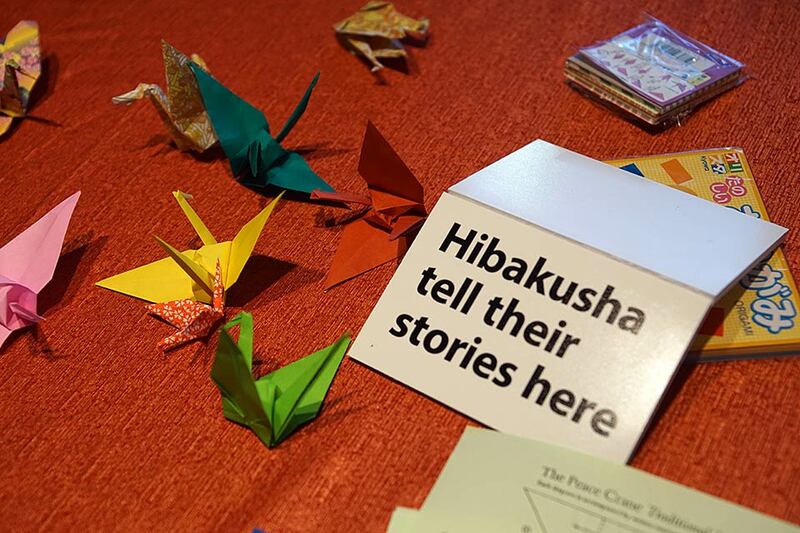 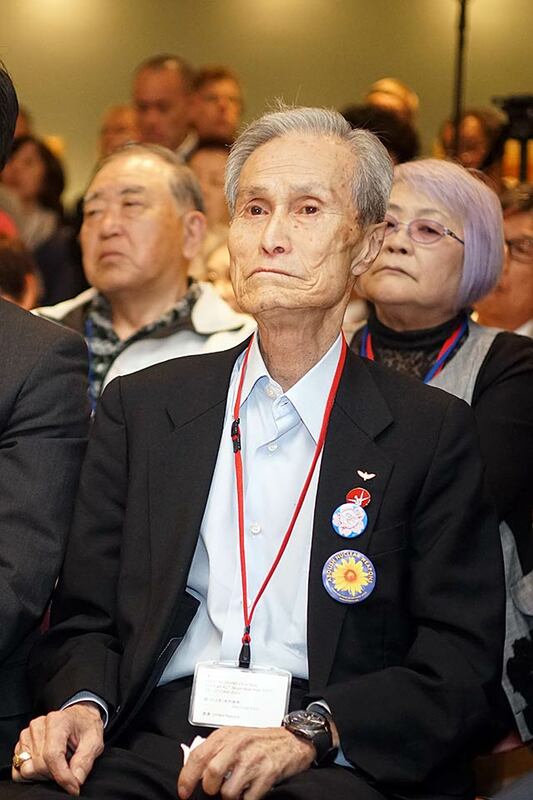 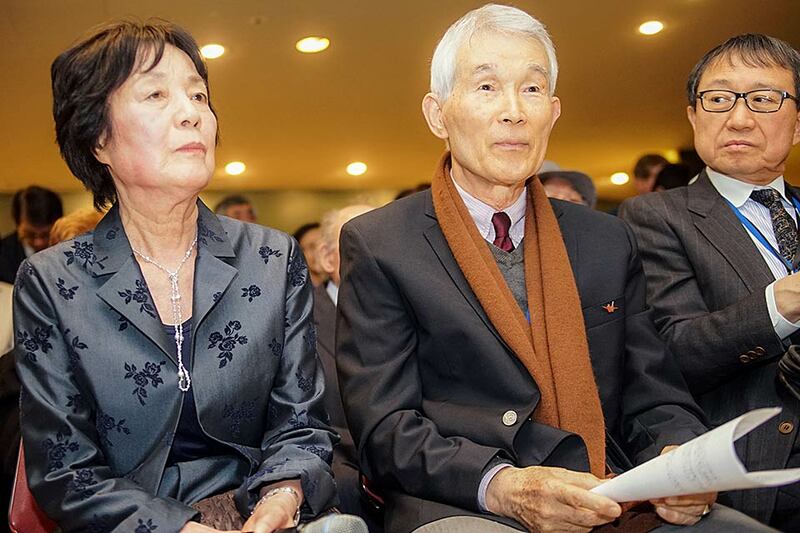 The reception also honored the hibakusha who had traveled to New York for the Review Conference which happens once every five years. 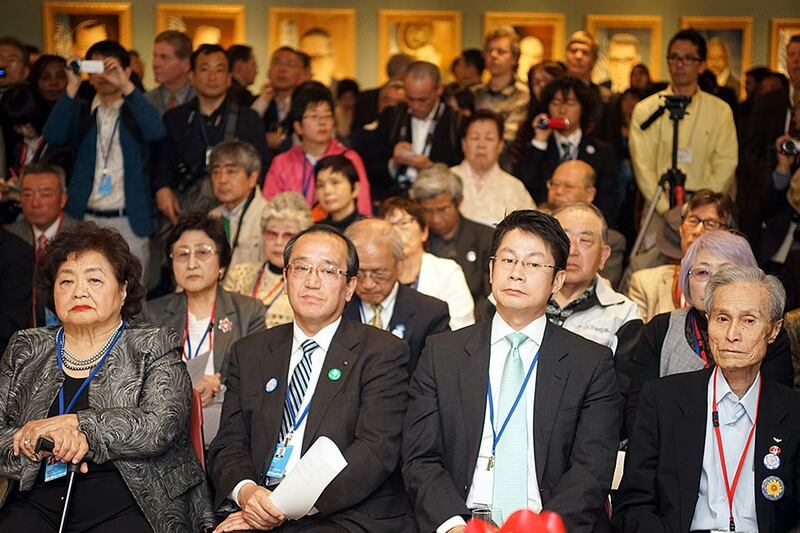 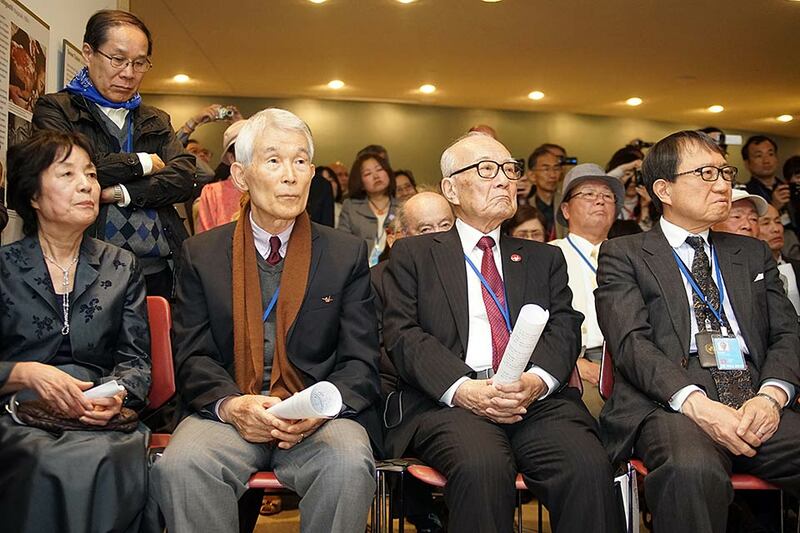 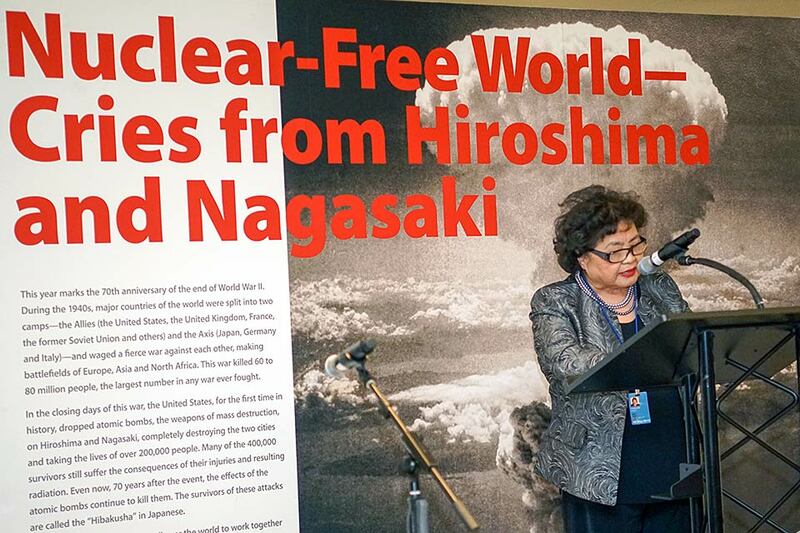 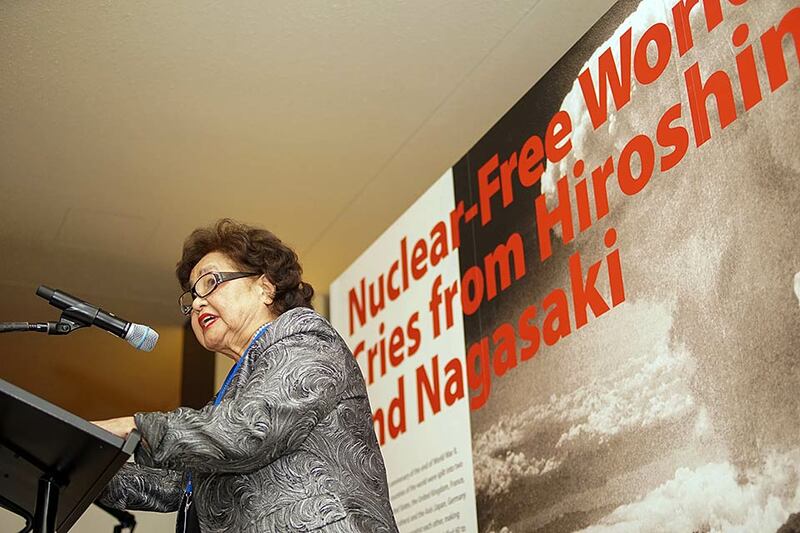 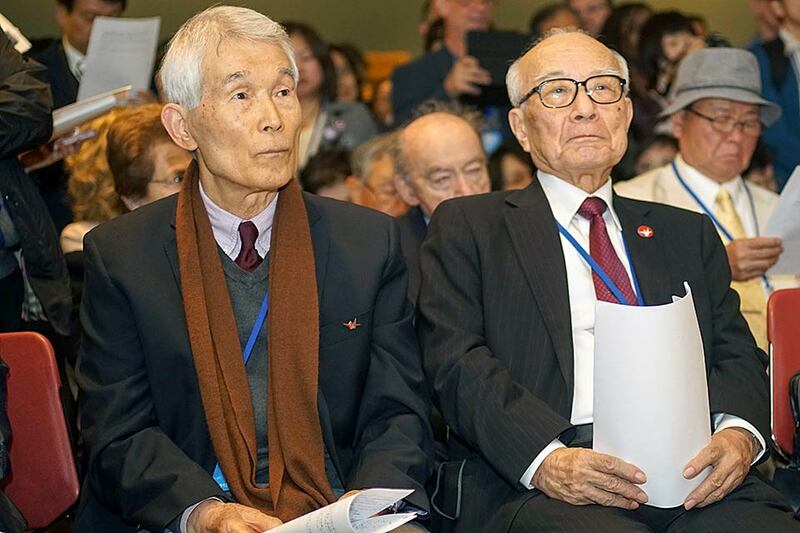 Many hibakusha recognize this NPT conference as their last.